The Science of Experience : What's your Party Factor? Physical and, increasingly, digital interactive content is a key part of any experiential activation. Technology use has increased and numbers of engagements are a critical metric in measuring performance. Through analysis of the data provided by Exposure:EX we've discovered that, taken on their own, these numbers drastically underestimate the number and impact of these interactions. In other words, the 'Party Factor' means your experiential activations are WAY more successful than you think! What is this 'Party Factor' then? Whatever the interactive there's a 'Principle' who you count and the 'Audience' that you don't. Our first example comes from an activation at a sports venue where fans can, through interaction with a camera and large touch screen, dress themselves in their favourite team's uniform and have the image emailed to them or posted to social media. Throughout the game there were approximately 100 recorded completed interactions. Having installed one of our Exposure Smart Sensors behind the screens we measured engagement by distance (within 2m) and dwell time (minimum 60 seconds). 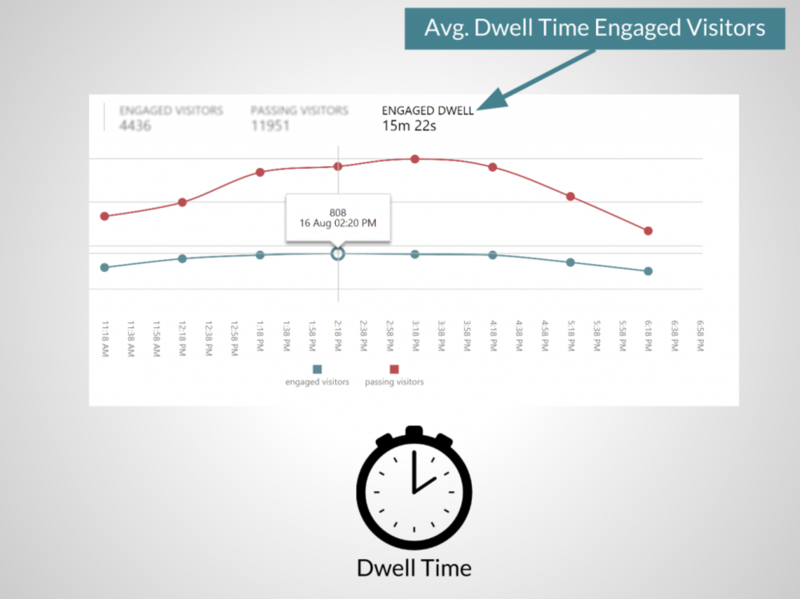 Our data shows there were 923 engaged fans with an average dwell time of 3m 36s. A 'Party Factor' of 9! The image above is taken from the Exposure portal, Engaged Visitors are classified as those people detected within 2m of the sensor for 60 seconds or longer. In the past the agency would have reported only the hard data, the 100 recorded interactions. When you think about it, the additional impact uncovered by Exposure:EX make total sense. Who goes to a game on their own? The game itself is a shared experience, between friends, family and everyone else in the stadium. It stands to reason that the experiential interactive is the same. Anyone who's worked an activation instinctively knows that there will be one 'leader' in a group while their friends or passers by look on. Our second example is from a large technology industry conference, a pure B2B audience. In this case the interactive allowed the visitor to customise their conference badge using a tablet computer, guided by a brand ambassador. 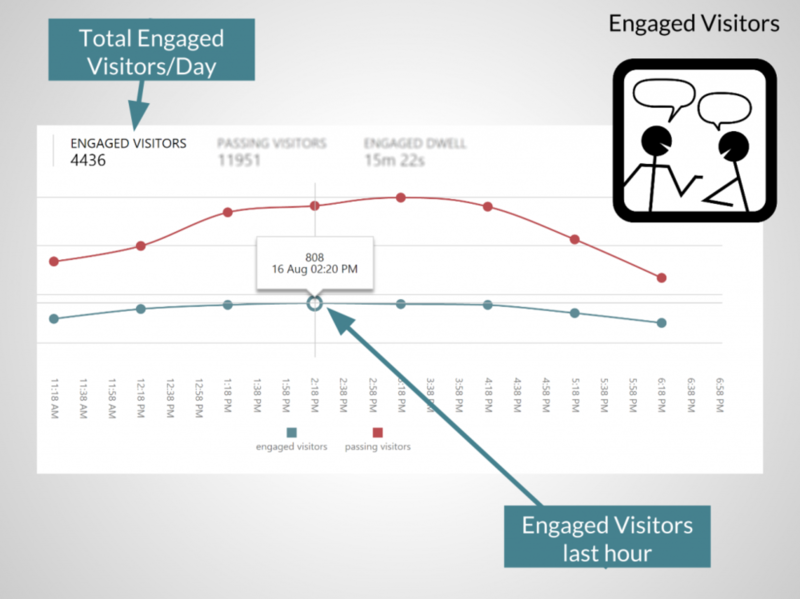 The hard data from interactions showed approximately 6000 engagements, the data from Exposure:EX showed a total of 18,000 over the four days with an average dwell time of 7m 30s. A 'Party factor' of 3! The image above is taken from the Exposure portal, engaged visitors are classified as those within 4m of the sensor for 60 seconds or longer. As budgets for experiential grow, by 54% in the UK according to the Pearlfinders report, it becomes ever more important to accurately measure impact. Data from physical interactions is great and should definitely be used to build an overall picture but, used alone, won't truly reflect just how great a job you've done on the day. Experiential : What's happening at the 'Top of the Funnel'? As more marketing $ are being invested by brands both large and small in 'Experiential' how are agencies answering questions about ROI? Experiential is about taking the brand to the consumer in a physical sense, creating experiences that improve the emotional connections, turning consumers into fans and influencers. The power of recommendation in today's crowded marketplace is at a huge premium. Sophisticated tools and strategies have been employed to measure impact generally based around sharing on social media; the instagram photobooth, twitter hashtags, facebook checkins etc. The tools available for measuring the digital world are widely adopted, all the major social platforms have built in analytics and 3rd party services like Topsy, Sprout, Hootsuite, Bufffer etc allow multi channel monitoring. Those are really useful but what's happening at the 'Top of the Funnel". How many people saw your activation? How many chose to physically engage? Once you have that basic data your sophisticated digital analytics can take over, enabling the agency to build a complete picture from 'first look' to 'final action & reach'. Before deciding where to take your Experiential Activation you'll consider the basic demographics and size of the audience in that location. This is data you'll receive from the venue owner, be they a music festival or shopping destination. This data is very general, much like print and television. You want more, you've grown to expect better. This high level data is frustratingly vague. So how do you fill in that data gap? How many people saw our activation? How many people chose to engage? How long did they engage for? 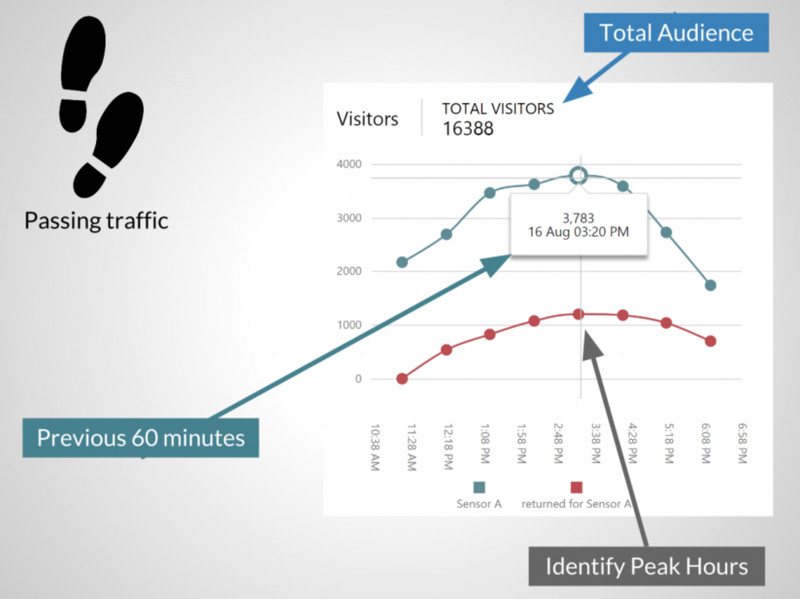 Top of the Funnel data is now concrete and reliable rather than vague and anecdotal. Best of all this is completely frictionless, our experience shows that approx 70% of people have WiFi enabled on their smartphone in outdoor environments. Once you move indoors to areas that have free WiFi then it is nearer 85%. That's a fantastic sample size, one which lends real impact to your overall analytics. Let us know if you'd like to book an online demo.